It’s THAT time of year again in Southwest Florida – the “IN” season. During this time, hundreds of snowbirds and vacationers make their way down here to enjoy the warm climate and sunshine that this state has to offer. Although there are many of things to do and see in SWFL, one of the area’s (and state’s) main attractions is its beautiful beaches. People come from all over to enjoy Florida’s soft sand, warm water, and spectacular views. If you live down here or are looking to move down here in Cape Coral, Fort Myers, Naples, Bonita Springs, or other SWFL cities, you can have access to these amazing beaches all year long. Since we have lived in the SWFL area for a long time, we wanted to share with you some of the best beaches in the area. Whether you want to go for a walk, relax with a book, go out on a family outing or get a tan, these beaches are a great place to spend a day or evening! Yacht Club Beach – This beach is on the Caloosahatchee River in Cape Coral, and it is great for families. There is a playground, tikis, and fishing pier. There’s even a restaurant, The Boathouse, right next to the beach, which is known for its good food and live music. Four Freedoms Park – This is where Cape Coral’s newest beach is located. It has beautiful white sand, a playground, picnic areas, and a recreation center. 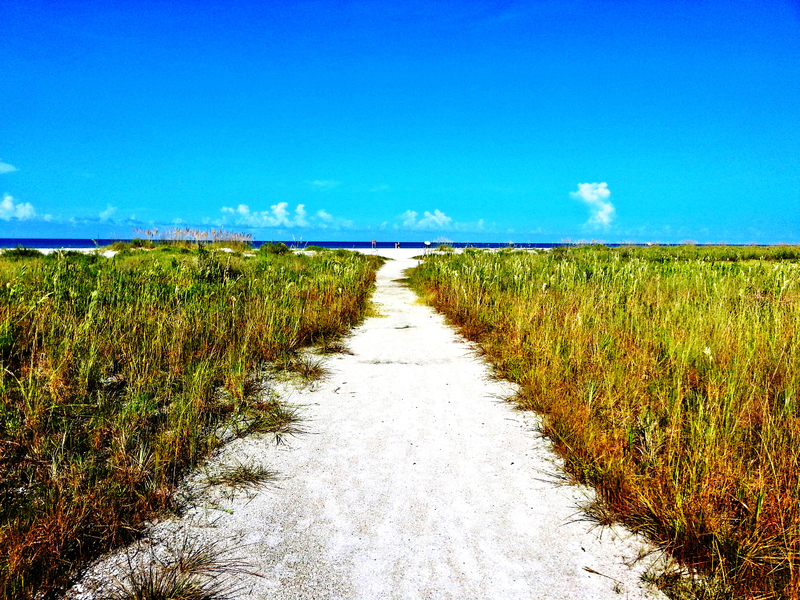 Barefoot Beach Preserve County Park— Barefoot Beach is a known spot for its beautiful surroundings including its 8,200 feet of beach and greenery of sable palms and sea grape trees. There are many gopher tortoises on this beach. Around this park, you can enjoy a one-mile trail, a picnic area, kayaking, canoeing, and more. The beach park is 342 acres of land. Park rangers hold lectures and other programs in the park about the area. The beach park is accessed through a residential community on Barefoot Beach Road in Bonita Springs. There is an $8 entrance fee; the beach is open from 8 a.m. to sundown. Vanderbilt Beach— This beach is located at the end of Vanderbilt Beach Road in Naples. Beautiful homes, hotels and restaurants line the beach, which can be accessed from the sand. This beach has a concession stand that offers beach equipment. Vanderbilt is open from 8:00 a.m. to sundown. It has a 152-space parking garage that costs $8 per day without a beach permit. Want to Live Near These Southwest Florida Beaches? Southwest Florida’s beaches attract people from all over the country. These beaches are a perfect day trip for both residents and vacationers to enjoy. Make the move to SWFL today!. Let us help you! To search properties near these beaches, contact us here or call at 239-357-6118.